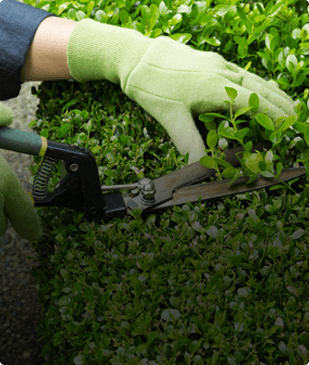 Our technicians are experienced, certified and licensed to install your landscape lighting (and irrigation systems). Our courteous and friendly presence on your property demonstrates the kind of care and attention that has been our reputation for many years. 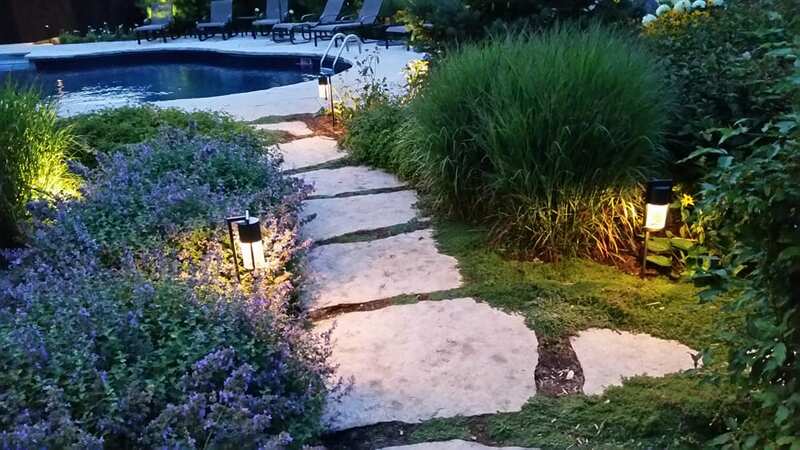 Landscape Lighting extends your living space outdoors! In addition to designing and installing outdoor lighting systems, Blue Mountain Four Season’s Irrigation & Lighting services and maintains all outdoor lighting systems. Many times, you’ll notice a light out or not shining as bright or perhaps an occasional problem with the system working properly. If you prefer your system periodically checked and adjusted, Blue Mountain Four Season can offer you a maintenance plan to fit your specific needs. We can schedule times throughout the year to check and review your system for problems and be proactive in keeping your outdoor lighting system investment in top condition. Blue Mountain Four Season’s Irrigation & Lighting division only uses quality products. Metal fixtures, High output LED, Bulletproof Transformers and right down to the water proof moretts. Investing in a quality landscape lighting system should leave you happy long term. Our professional landscape lighting installer will design the right system for you and at the right time of day. Why would a outdoor lighting company visit your property at high noon? Blue Mountain Four Season will make an appointment with you in the evening or even after the sun goes down. Only then are you able to properly gather the information you need on outdoor lighting needs. You know it when you see a Blue Mountain Four Season employee. We dress for success and are always polite and courteous, on and off the job site. Blue Mountain Four Season’s Irrigation & Lighting division services our customers from the first phone call to being onsite when you see your system light up for the first time. We are here for any support issues and we will teach you how to use your system.